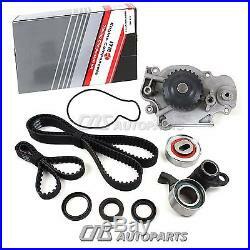 2.2 HONDA PRELUDE VTEC TIMING BELT WATER PUMP KIT H22A. 93 - 01 HONDA PRELUDE SI TYPE-SH 2.2L DOHC 16V VTEC. TIMING BELT WATER PUMP KIT H22A1 H22A4. 93 - 96 HONDA PRELUDE Si VTEC 2.2L DOHC 16V H22A1. 97 - 01 HONDA PRELUDE TYPE-SH VTEC 2.2L DOHC 16V H22A4. 1 Timing Belt Tensioner Roller. 1 Balance shaft Tensioner Roller. 1 Water Pump w/ Seal. Since the Hydraulic Tensioner is not included in this kit, please check our store listings. THE TEAM ARE HAPPY TO HELP. &###x200B;&###x200B;&###x200B;&###x200B;&###x200B;&##x200B. &###x200B;&###x200B;&###x200B;&###x200B;&###x200B;&###x200B;&##x200B. &###x200B;&###x200B;&###x200B;&###x200B;&###x200B;&###x200B;&###x200B; &###x200B;&###x200B;&###x200B;&###x200B;&##x200B. &###x200B;&###x200B;&###x200B;&###x200B;&###x200B;&###x200B;&###x200B;&###x200B;&###x200B;&###x200B;&###x200B;&###x200B;&###x200B;&##x200B. PART NUMBER: ITM226WP 93 - 01 HONDA PRELUDE SI TYPE-SH 2.2L DOHC 16V VTEC TIMING BELT WATER PUMP KIT H22A1 H22A4 Application 93 - 96 HONDA PRELUDE Si VTEC 2.2L DOHC 16V H22A1 97 - 01 HONDA PRELUDE TYPE-SH VTEC 2.2L DOHC 16V H22A4 Package includes ---1 Timing Belt ---1 Balance shaft Belt ---1 Timing Belt Tensioner Roller ---1 Balance shaft Tensioner Roller ---1 Water Pump w/ Seal ---1 Crank Seal ---2 Cam Seals Special features ---Since the Hydraulic Tensioner is not included in this kit, please check our store listings. 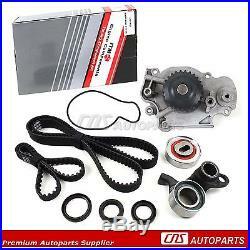 The item "2.2 HONDA PRELUDE VTEC TIMING BELT WATER PUMP KIT H22A" is in sale since Friday, November 19, 2010.